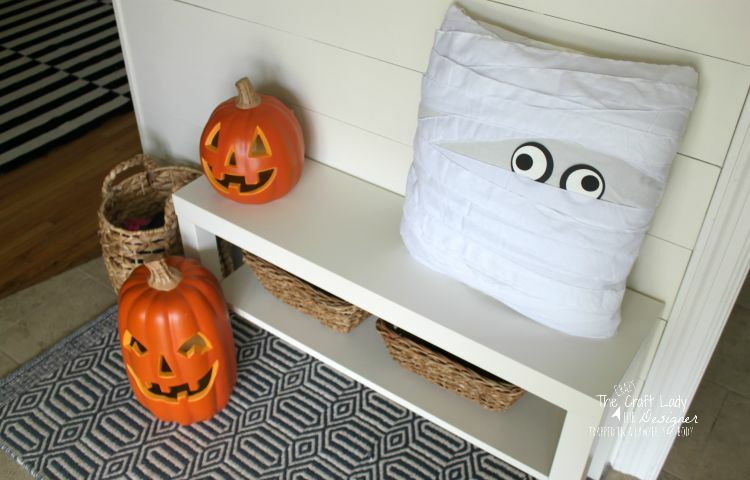 Since DIY projects can take time, today I’m giving you plenty of time for these DIY Pottery Barn Halloween knock-off projects. 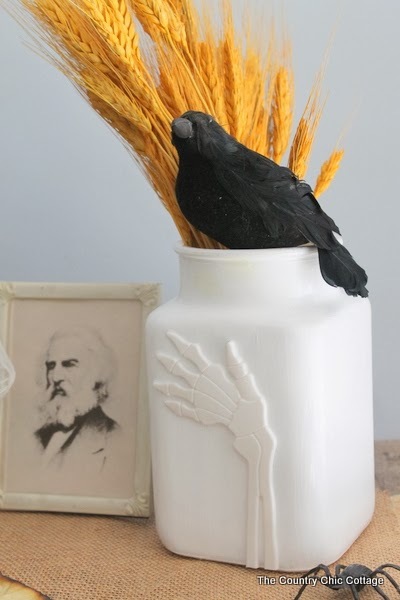 I don’t know about you, but I’m already planning my fall decor, DIY projects, and crafts. Halloween is will be here before you know it! 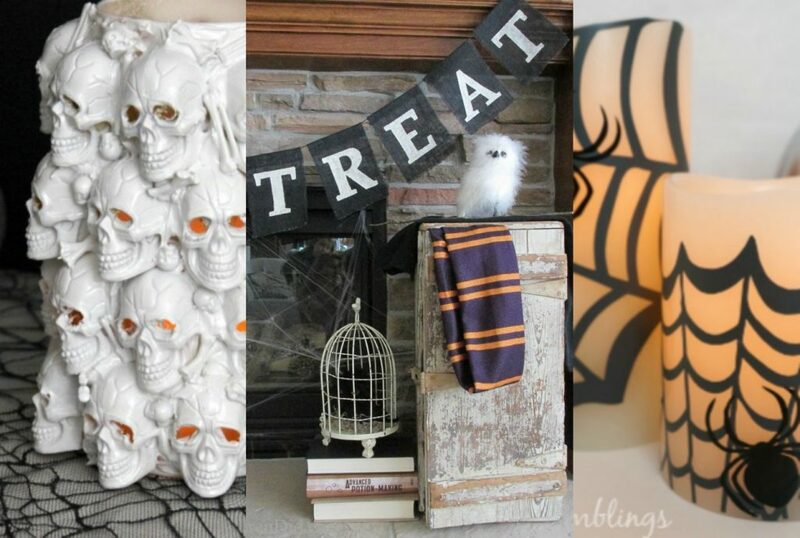 Get a start on your fall crafting with these inspiring Pottery Barn Halloween projects! 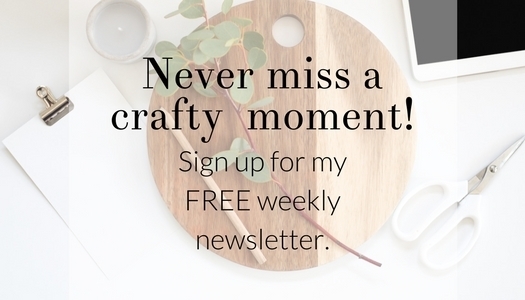 This was my front entry last year, in a guest post that I shared for Designer Trapped in a Lawyer’s Body. 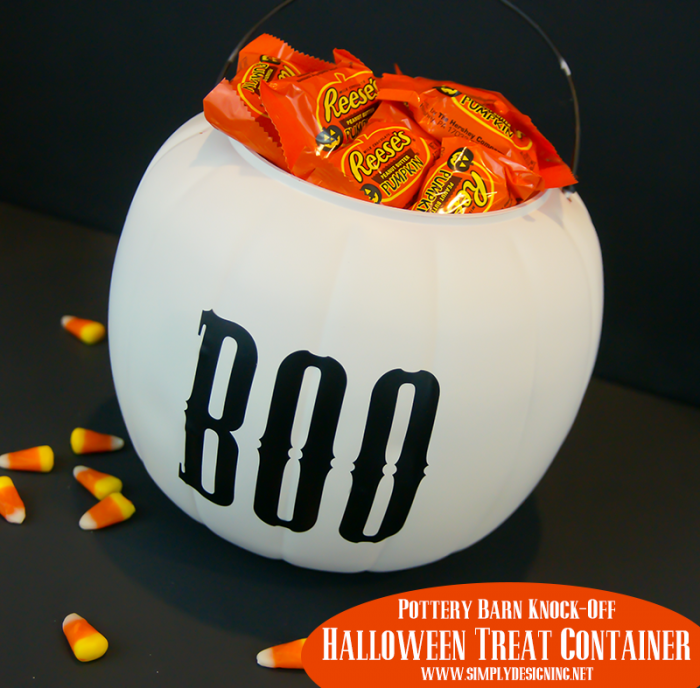 Simply Designing knocked off these Halloween treat containers for only $1. 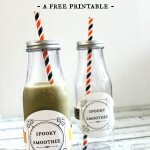 Simply Designing has tons of DIY Halloween Inspiration! 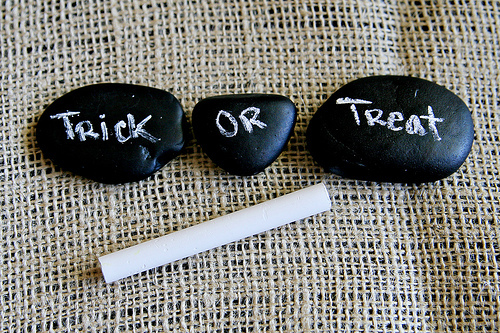 These chalkboard rocks from See Vanessa Craft could be used year-round, don’t you think? 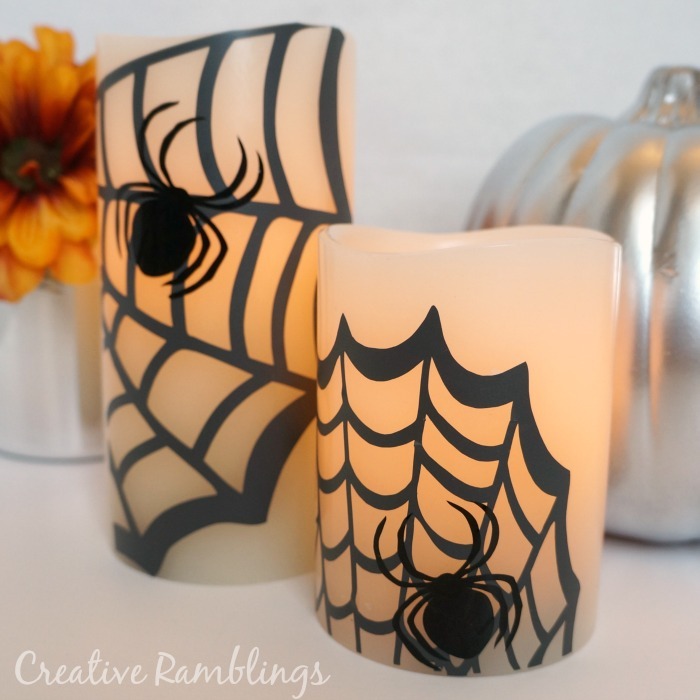 Sarah from Creative Ramblings used her silhouette machine to make these spooky spider flameless candles. 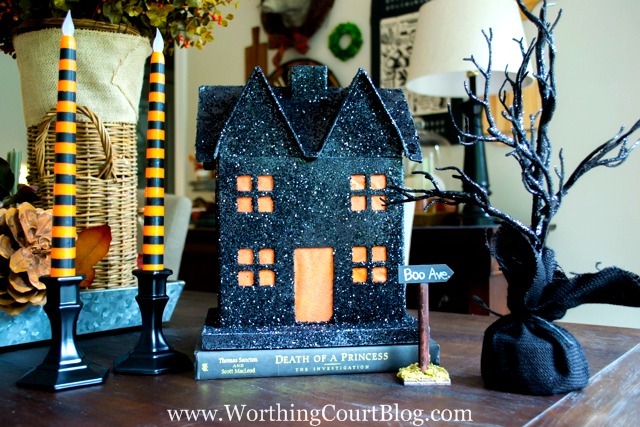 Christy from Confessions of a Serial DIYer knocked it out of the park with her Halloween Mantel – hop on over to her blog for a link to those free printables. 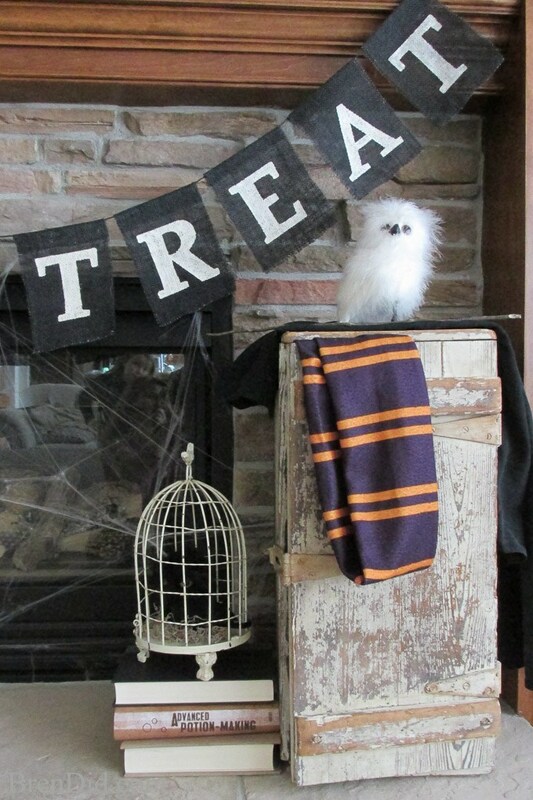 Bren from Bren Did made this easy Halloween banner with Harry Potter decorations, and you can too! 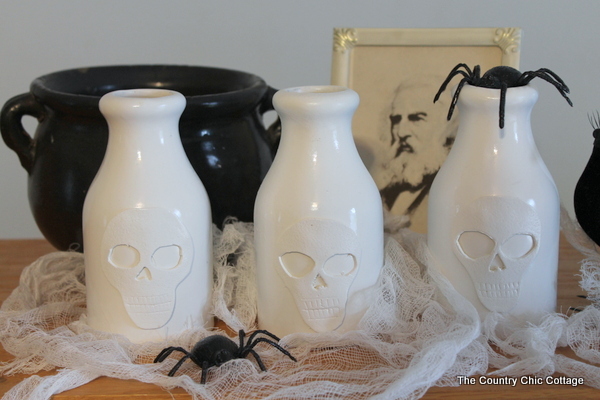 Angie at The Country Chic Cottage made these Pottery Barn Skull Vase Knock Offs for just pennies on the dollar compared to the original. 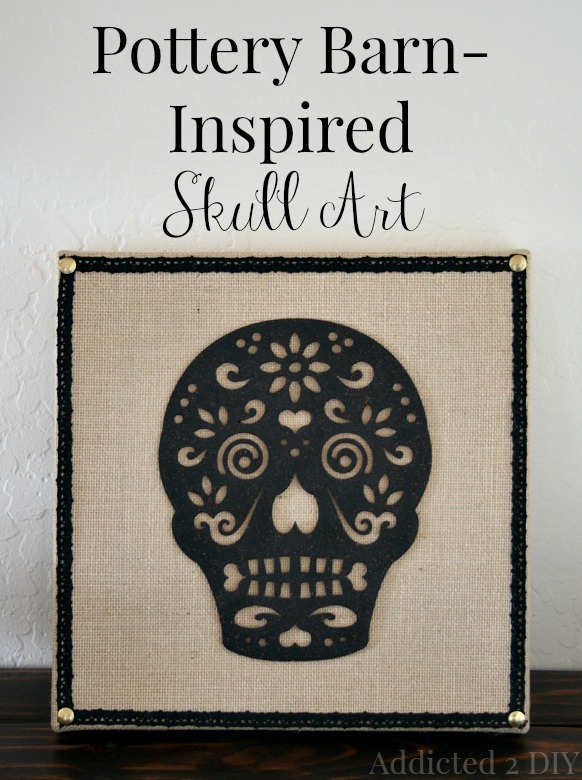 You have got to see how Addicted to DIY made this skull and burlap art. 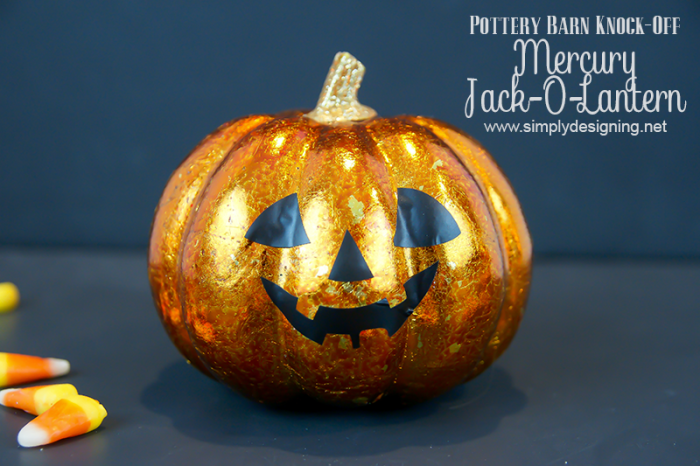 This Pottery Barn Halloween House from Worthing Court is full of DIY sparkle. 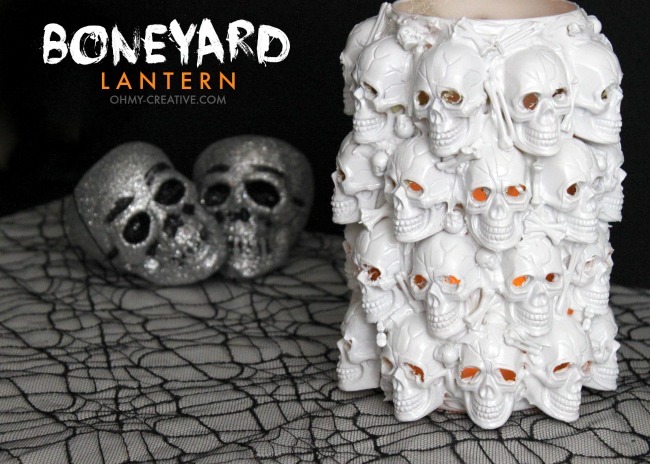 You won’t believe what Oh My Creative made this boneyard lantern from! 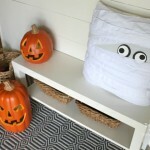 Angie from The Country Chic Cottage turned a Pottery Barn Halloween knock-off into an inexpensive dollar store craft. Genius! 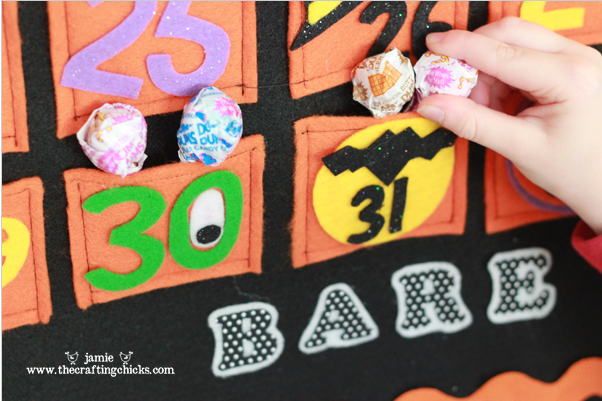 This countdown calendar from The Crafting Chicks would be perfect for any classroom or home with little ones (or not-so-little ones)! 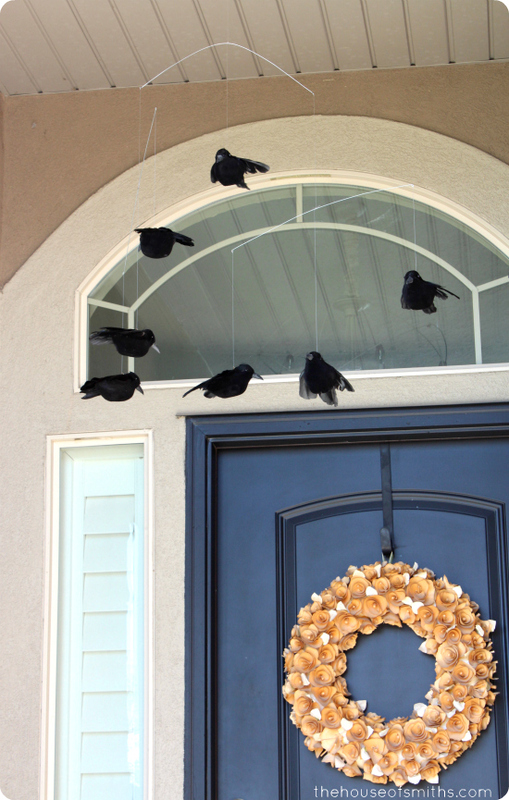 House of Smiths made this fantastic knock-off crow mobile that perfectly compliments their front porch – go check it out! Hi Aimee. 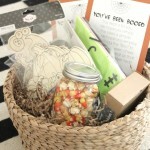 Great roundup for Halloween! 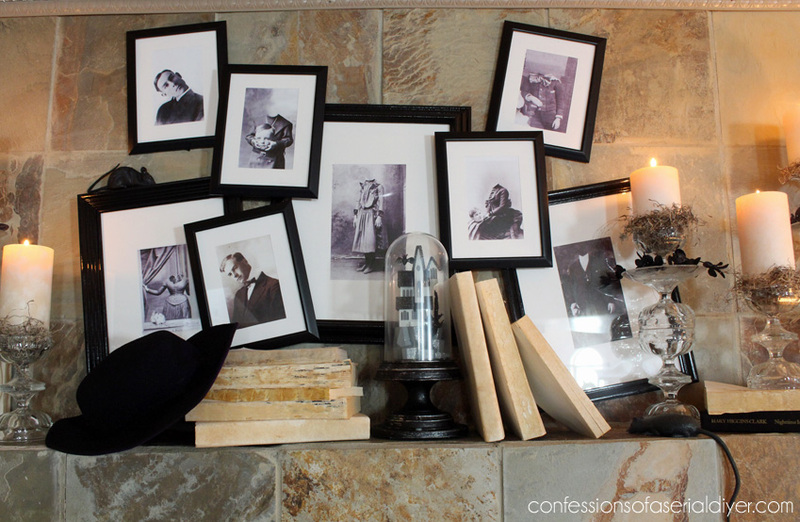 Thank you for including my Pottery Barn inspired Halloween House!